This year's Ozzfest will be one-day "stadium spectacular"
One show this year - but it'll be big! It was announced yesterday that Ozzy Osbourne's namesake festival has been whittled down to a one-day "stadium spectacular" this year, and will be held at Pizza Hut Park in Dallas, Texas on August 9. Put on by AEG Live and Ozzy and Sharon Osbourne, this year's Ozzfest will be headlined by Ozzy himself. Also on the bill are Metallica, System of a Down's Serj Tankian, Korn's Jonathan Davis, Hellyeah, and more. In addition, there will be an all-star tribute to "Dimebag" Darrell Abbott, the Pantera guitarist who was slain onstage in 2004. 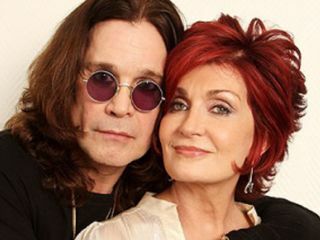 In a statement, Sharon Osbourne said, "Ozzy just finished an 11-month world tour, so I think he deserves a summer off. We're going to be a stadium destination festival for now - we have gone past doing the sheds every summer. We've given everyone else the blueprint, and we have to keep evolving Ozzfest. This is just the beginning. Ozzy has great relationships with all of the bands that have played Ozzfest. We're the only real festival for harder-edge bands, and these artists have been very loyal to us - there is lots of love on this lineup."